Driveshafts aren’t a regular cause of breakdowns but this doesn’t mean they’re invincible. Sudden, excessive vibration is an obvious indication something’s amiss, and the root of the problem, more often than not, is poor maintenance. Lawrence Schäffler reports. When was the last time the universal joints on your truck's driveshaft were greased? If you can't remember, chances are they're already suffering and may soon fail completely. "The vast majority of issues we deal with," says Russell McLaren, owner of Driveshaft Specialists NZ Ltd in Auckland's East Tamaki, "can be traced to irregular (and often the complete lack of) greasing of the universal joints and hanger bearings. Poorly-aligned and/or unbalanced shafts are also problems, but they're a distant second." Most truck manufacturers, he says, provide a recommended schedule for driveshaft maintenance, but a good rule of thumb is coinciding the task with every engine service. "There are a couple of lubrication factors to consider. It's important to use a good quality grease — usually an EP2 (Extreme Pressure) product, and you should see the grease being purged from all four of the trunnion bearings. If it doesn't appear from one or more, you got a problem." 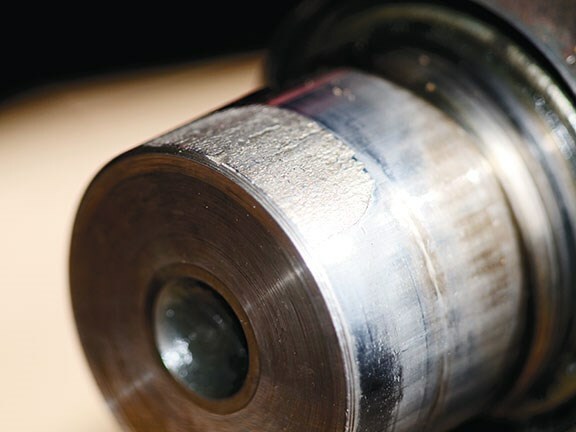 Lack of greasing results in many joint problems, but the most common is 'brinelling', where the needle rollers wear grooves into the trunnion surfaces, compromising the joint's ability to flex and rotate. An obvious indicator of malfunctioning joints is excessive vibration, and often the entire drive-train is noisy. "Vibration rapidly accelerates the failure of driveshaft components, and keep in mind the vibration is also transmitted throughout the drive train and can eventually affect the transmission, differential and even the engine. Repairing those big-ticket items is a much more sobering proposition." Modern trucks, McLaren points out, are increasingly being equipped with sealed universal joints and hanger bearings. "They're maintenance-free and designed to run for vast distances before needing to be replaced." Driveshafts operate in a three-dimensional space with the relative angles between the gearbox and rear axle changing constantly. They also change length, contracting or expanding to absorb/dissipate torque, or as the truck's suspension travels over bumps and hollows. 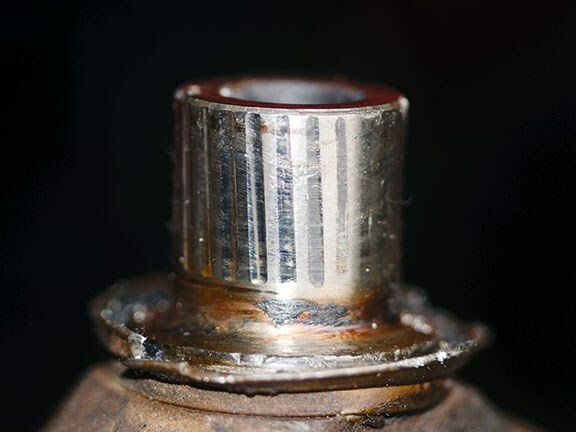 While regular greasing promotes longevity, a number of other issues could impact on a driveshaft's reliability. 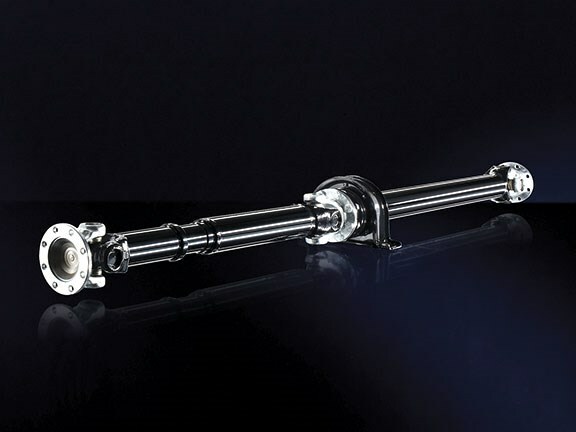 Large trucks often have two or even three-piece driveshafts, with one or more hanger bearings supporting the shaft at various points along its length. Truck designers ensure different shaft components are perfectly aligned, limiting any variance (up, down and sideways) to two or three degrees. "Problems with driveshaft angles often arise when those trucks are modified — when the wheelbase is extended or shortened," says McLaren. "Many new trucks are stretched or shortened the moment they land in New Zealand — usually to cater for specific load or freight requirements. 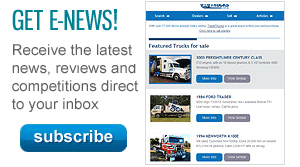 "In many cases the trucks will be also carrying heavier loads, so the suspension rides lower. If the modification isn't done correctly the driveshaft universal joints and hanger bearings may be forced to operate at steeper angles — often beyond their original design limits." He says the angle problem is more prevalent where driveshafts have been shortened, or where a single driveshaft has been replaced with a two-piece unit to cater for an extended wheel base. "With a shorter shaft spinning at high speed the higher angles are amplified, placing excessive stress on the joints." Lengthening the wheelbase and fitting a longer driveshaft creates a different set of issues. "You now have a heavier component spinning at high speed and you need to compensate for it. It may mean upgrading to heavier duty universal joints to absorb the higher loads." Unbalanced shafts can also create excessive vibration and contribute to premature wear of drive-train components. Older-style driveshafts are typically manufactured from medium tensile steel and have welded seams. Their modern equivalents are extruded and thus seamless, making for easier balancing. "Welded tubes are more difficult to balance and often require the placement of counterweights to offset the welded seam. "The old tubes also tend to go 'oval' with age and the run-out becomes excessive," says McLaren, "and it's often easier to replace them with a seamless tube. 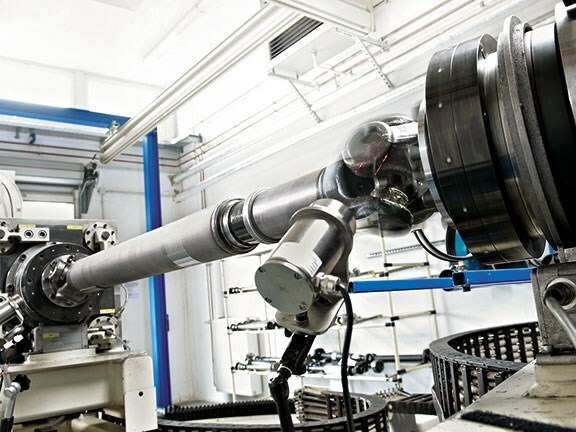 He points out that before a shaft can be balanced it may need a little manipulating to bring it within the required concentricity design parameters. "A driveshaft cannot be balanced to run vibration-free unless it's perfectly straight. Even the extruded tubes can present a run-out of 10 or 12 thousand. On modern trucks, where a driveshaft can be spinning at around 7000rpm, that kind of imperfection creates an uncontrolled whirling mass and excessive vibration. "When a new driveshaft is to be fitted, or when an old one is equipped with new components, I'd recommend it is checked for concentricity and then balanced. 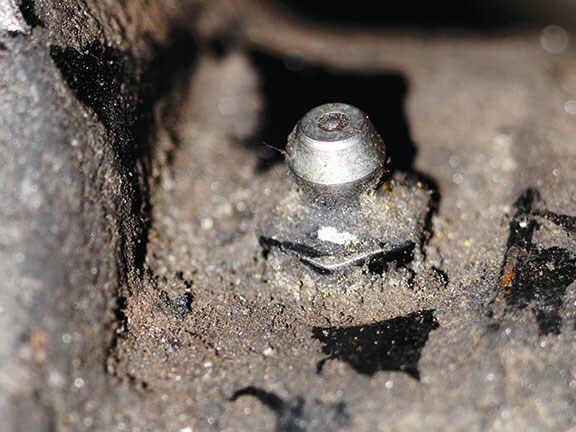 Fitting new universal joints and hanger bearings to an unbalanced driveshaft will simply lead to premature failure — and an early repeat of the repair." Regular lubrication should include the slip joint. "A seized slip assembly prevents the driveshaft from lengthening or shortening — meaning much higher loads and stresses are transferred to the universal joints and hanger bearings." He says excessive vibration can also accelerate spline wear on the slip joint. 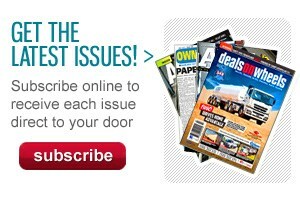 "About twenty years ago this often created severe problems for drivers. There were quite a few instances of driveshafts coming apart at the slip joint when inexperienced drivers coming up the Bombay hills missed a gear change. With better driveshaft design, that's almost unheard of these days." McLaren's final piece of maintenance advice is this: if you take a driveshaft apart for inspection, don't be tempted to simply clean and reassemble it. "You will have mixed up the bits and pieces and changed the wear pattern in the critical components — in particular, the needle rollers and trunnions will be ill-matched. "The unit will simply fail quicker. If you're going to the trouble of removing the driveshaft and taking it apart, it makes sense to fit new universal joints and bearings. "And don't forget to have it balanced before reinstallation."